Happy Valentine's Day! 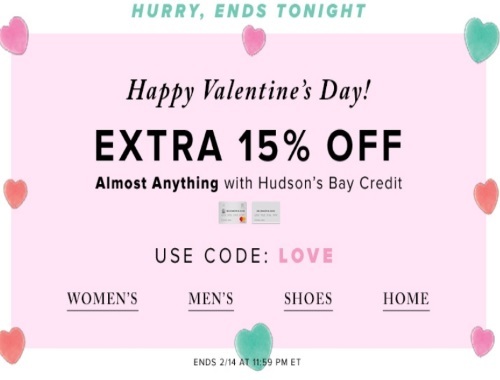 Hudson's Bay is offering an extra 15% off almost anything when you pay using your Hudson's Bay Credit! Enter the promo code LOVE at checkout. Offer is valid today only, Wednesday February 14, 2018.